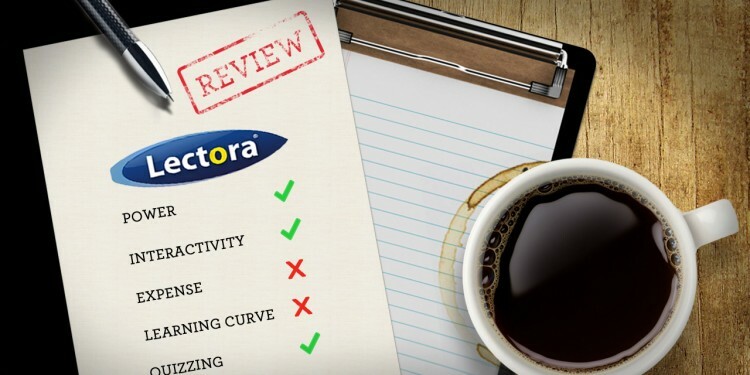 Lectora is a powerful platform for developing eLearning content, but what are its strengths and weaknesses as an authoring tool? And given your own needs, is it a good fit? With professional experience working in the most popular platforms (Articulate Studio, Storyline, Adobe Captivate and Lectora) I have experienced the strengths and limitations of each one. The strength of Lectora comes in its robust set of tools and its programming flexibility. Lectora is a robust authoring tool specifically built for eLearning. Its file structure follows a textbook analogy: the slides are “pages” that are grouped in chapters and sections all visible in the left side Title Explorer. Like most other platforms, Lectora’s interface is slide-based, with the program starting at slide 1 and going on from there.. So what are Lectora’s strengths and in what areas do other tools come out stronger? Power and flexibility – When you purchase the suite you have the biggest toolbelt of all the platforms in terms of what comes with it, listed above. This helps to make graphics, screen captures, and narration all within easy reach and of high quality. Quizzing – This is perhaps Lectora’s strongest area, it was built for quizzing. Lectora has more built-in variables and actions than the other platforms so you can make custom quizzes using your own logic, feedback and tracking, or pick from Lectora’s built – in quiz templates . Interactivity – With platforms like Articulate Studio, when you want to add an interaction or quiz, you do so via add-on programs (Engage and Quizmaker) which can make you feel like you have left the software altogether and must work within tight templates. Lectora’s interactions are built right on the slide and are highly customizable. Learning Curve –Lectora will take some time to master, especially if you plan to use variables and conditional actions. However,if you are coming from a powerpoint background and are not used to working within a timeline, Lectora may be easier for you than Captivate or Storyline. Flowchart View – If you are a person who prefers working with flowcharts and visual layouts, you might prefer Storyline which has “story viewIn Lectora you have to keep track of it in your head, draw a picture or actually look at slides to find the buttons and actions to see where they lead. Software Simulation – While Lectora Inspire comes with Camtasia, a powerful screen capture tool, it comes with a limited version, not the full version. Adobe Captivate and Storyline integrate screen capture and interaction with video more seamlessly. If you are working mostly with software simulation and screen capture, you might want to look to Captivate, Storyline, or the full version of Camtasia. 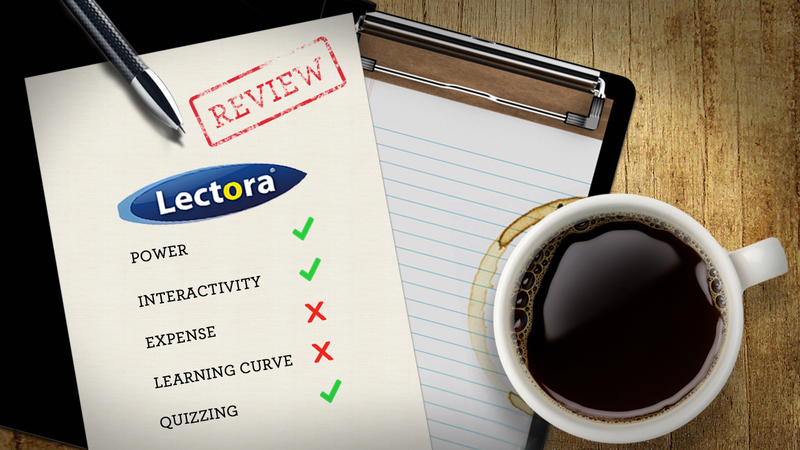 If your eLearning is heavily quiz based and interactive, Lectora is a good choice to make. If you are working under time and budget constraints, it may be too much horsepower to fit your needs. I wouldn’t say that mastering variables and triggers in Storyline is easier (or harder) than doing the same for variables and actions in Lectora. Or in Captivate. I’d say it’s about the same, so no extra points for any of the tools. Everything else in the review is pretty much right on point.